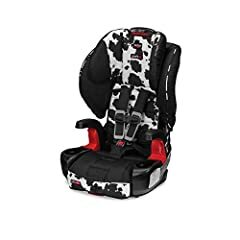 My review of the Britax Marathon ClickTight Cowmooflage Convertible Car Seat review. 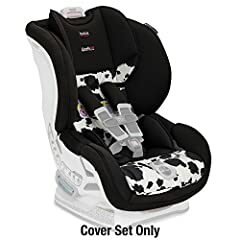 I previously had the Britax Boulevard ClickTight and as I liked the seat and felt that it was good quality I didn’t like that it wasn’t washer safe. However for a purchasing for a second vehicle I was able to get over that and accept the fact that hand washing would suffice. 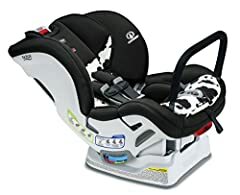 I also have a Chicco NEXTFIT ZIP (sorry I said the wrong name in the video) in my car and I love it. I appreciate how the Britax is a little less bulky however I really like the nextfit ZIP because it’s so easy to take the cover off and wash it in the washer. Both are great seats! yes! I have 4 carseats. 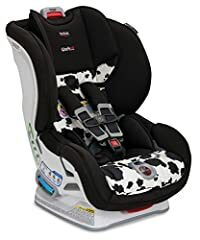 2 Chicco Next fits, and I just ordered 2 of these. one for my mom and one for my son’s great grandma because they babysit him a lot. it seems like a great car seat.